Heard about this race when the ex-Dubai runner, Victoria Leckie blogged about it in 2012. Since then I kept checking out this race and remembered talking to Clare Mullenger during our training run at the Fossil Rock years ago that she was very keen too. 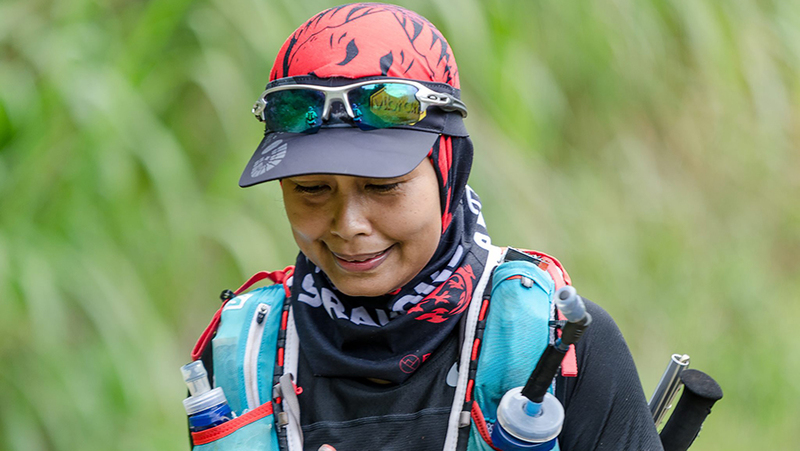 Celebrating its 8th year, the oldest ultra trail event in Malaysia has gained popularity, thanks to its catchy name “The Most Beautiful Thing”. In fact, some runners kept returning annually. The recent event in early September was over signed compared to the initial estimate of 2000 runners, according to race director, Claus Pedersen. My preparation was not the most ideal. Having some months off for a summer holiday and Ramadan brought a new season of training of slowly building back. Few slots of stair climb session weekly, climbing nearby mountains on one of the weekends, accommodating strength and conditioning with F45 were part of the training on top of the usual long runs. The trip to Sabah was accompanied by few Dubai runners and friends. Honestly, I was looking forward to spending time with them rather than the actual race itself. I sorted the race pack collection including a mandatory gear check the day before the race. We also collected the race pack on Jenna Wilkinson’s behalf since she could not attend the race. I attentively read the description of the 100km course to get some ideas of the route. Next morning, we boarded the 3am buses from Kota Kinabalu and reached Lingkubang within roughly 90 minutes. We left our drop bags, then crossed Kadamaian river via a hanging bridge to get to the hall where registration took place. 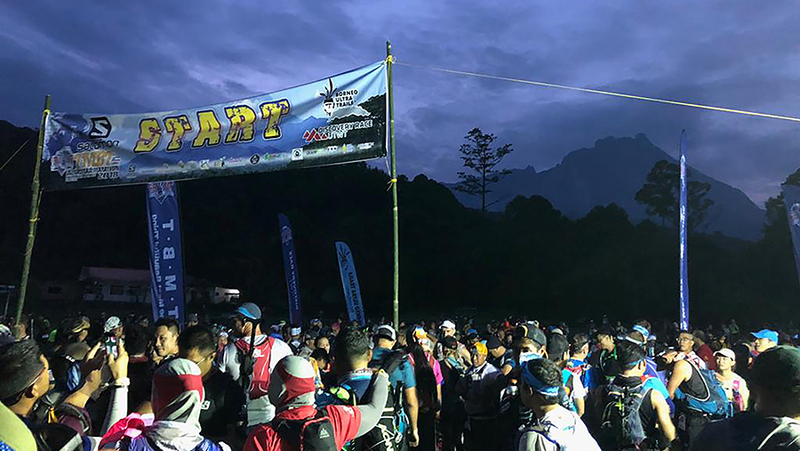 Stunning morning it was, the dawn sky with Mount Kinabalu in the backdrop – 100km, and 50km runners kicked off the race at the sports field of a local school. We ran and hiked from one village to another. At Bundu Paka village we were entertained by gong playing – an important traditional instrument of Sabah’s indigenous people. Few hanging bridges and river crossing were part of the fun – some with guards to ensure safety. Mount Kinabalu was getting closer and clearer. 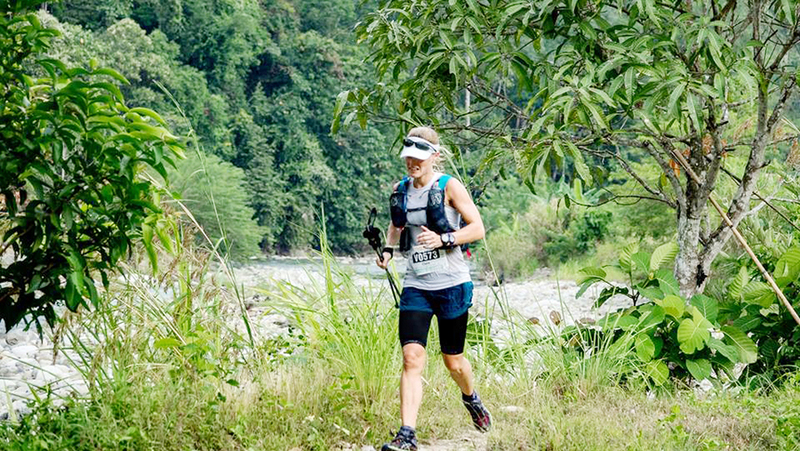 Some trails were narrow by the ridgeline and occasionally we had to let fast 50km runners pass on the smaller trail. In one of the village, there was a group of bees ‘blocking’ the route. I ducked into the left side behind a parked car – yet still got stung behind my knee. Stage 4 was the beginning of a continuous climb (600m gain) with a breathtaking view of the highland. 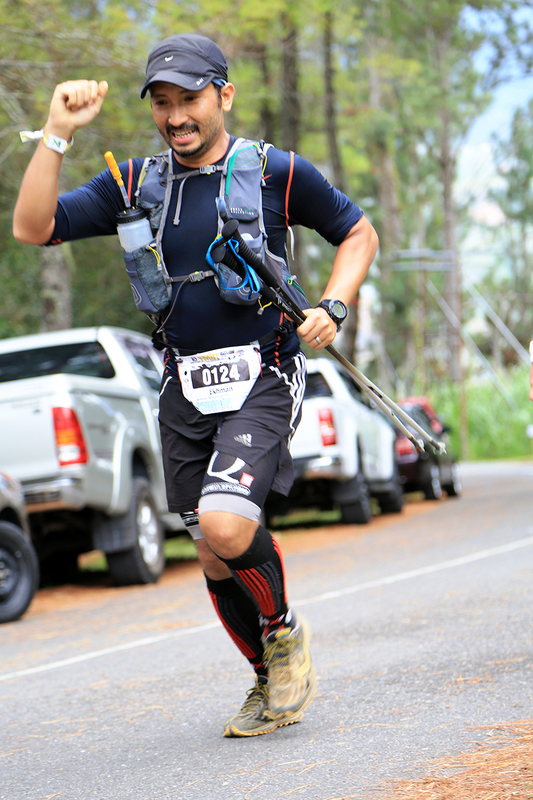 After 6 hours into the race, I rested at one of drink stations where a girl with a Salomon red cowbell cheered us. I fueled up with more sugar; just what the body needed. We were relieved to reach Kiau Nulu village (Checkpoint 4) after the tough climb. The next part I began to feel lethargic and dizzy but very slowly continued gaining 700m elevation till the main road (Checkpoint W5a). At this point, I’ve seen an old rubber plantation, paddy-field, pineapples farm, dead snake on the road and a pomelo tree. 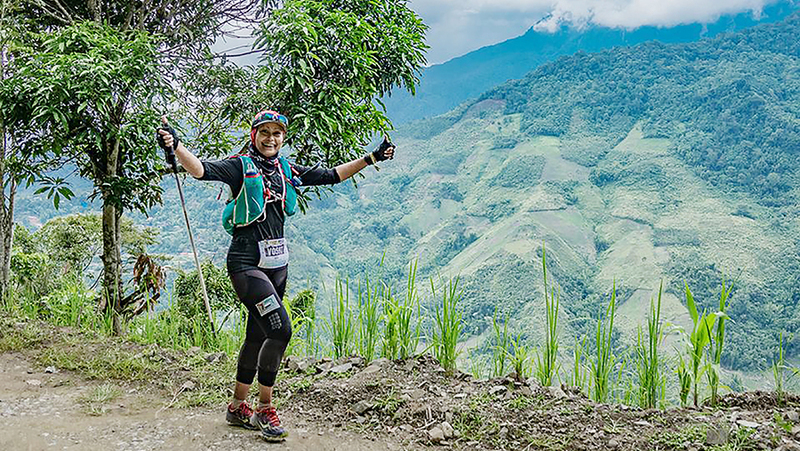 Due to landslides, we were shuttled to the Checkpoint W5 with the race time being stopped. Going to the halfway point, there were sections of steep uphill and downhill with gravel, sealed road, and farmed vegetable areas. I got to the 50km mark before dark, at Mount Kinabalu Heritage Resort and Spa (1500m elevation), my legs were fine but I felt sick, and the dizziness seemed to get worse. Shame that I couldn’t get food into the body from the buffet of hot meals provided. I plodded along to Checkpoint 7 just after remarkable local runner Daved Simpat arrived to claim the 1st position. I reached the main road between Kundasang and Ranau, here I vomited and felt a lot worse. I decided to retire then and there. I didn’t want to race in this condition and wasn’t prepared to let myself become stranded in the next vegetable farm or wherever it may be despite many hours left before the cut-off time. Plus, the last bus departure to the city was at midnight and nothing till 7am next day. crucial, other than actual training. Trail running is mysterious, extreme, and full of uncontrollable factors or variables – yet it’s attractive which I’m drawn into. No regret here, there’s always another race. Congratulations to all finishers – especially my awesome sandpit mates: Clare Mullenger took 1st place for veteran women (30th), James Constable (60th). Mr. E, my other half finished strong despite weeks of no active running prior to the race due to a torn calf muscle. 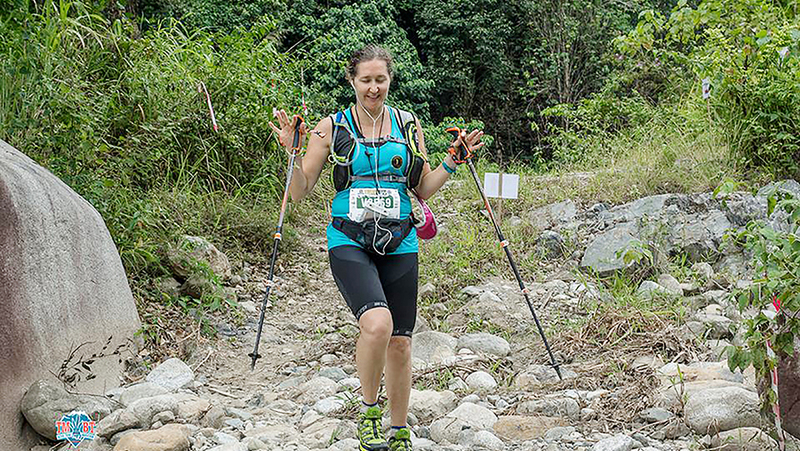 In the 30k distance, Ellen Pavlovic and Elizabeth Routley-Driver both conquered the trail their own way. 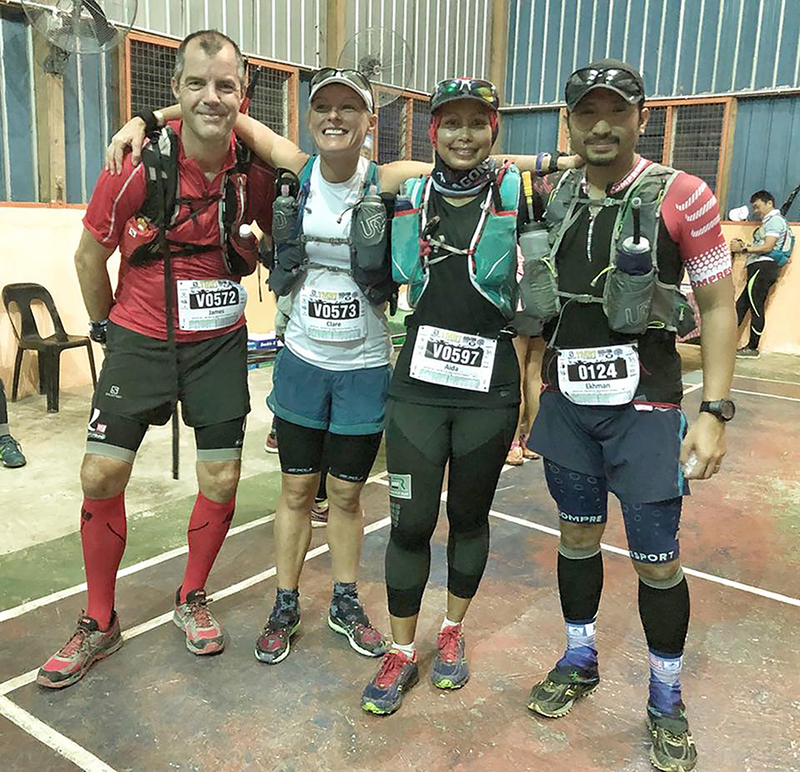 If I have to compare the sister race, Borneo Ultra Trail marathon (BUTM) which I raced in March – personally I prefer BUTM where I enjoyed the course better, plus there weren’t too many dogs on the route. 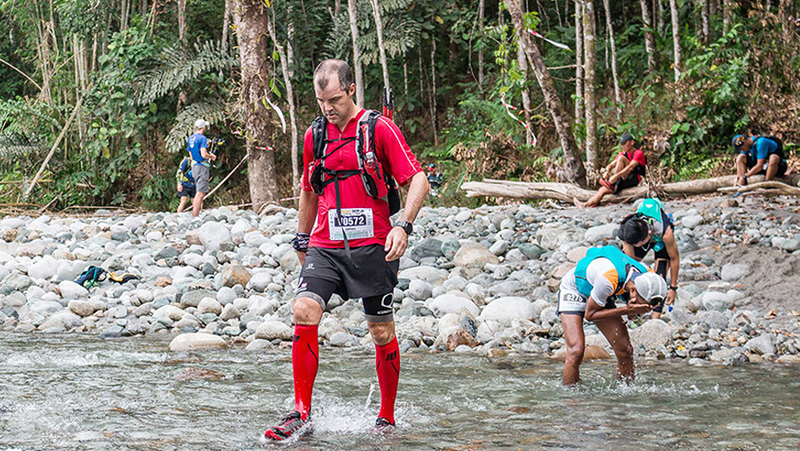 That said, Sabah is truly magical and this race deserves to be one on your bucket list – or try the sister race. 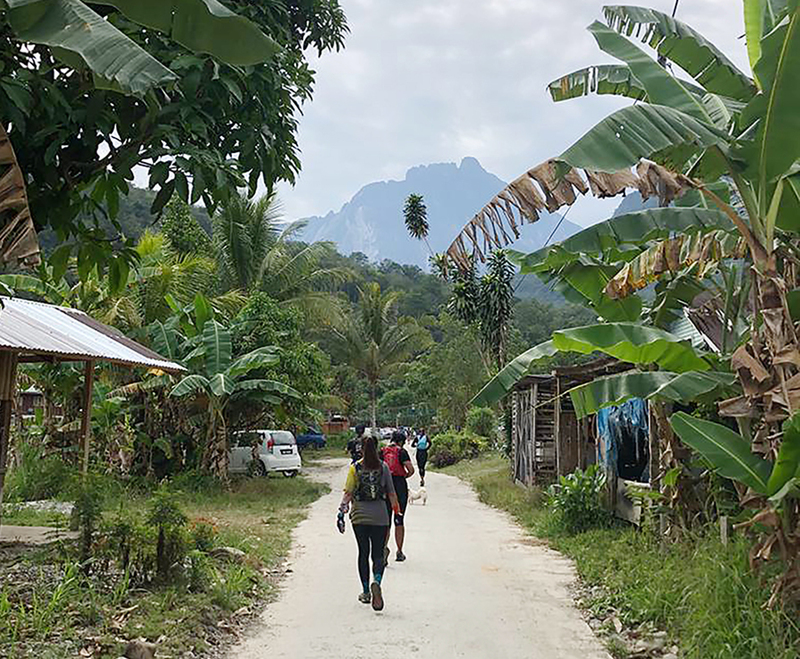 It would be time well spent if combined with some traveling and a trip to summit Mount Kinabalu – just like Ellen Pavlovic and Liz Anderson did after their run. Aida Othman (@_aidaothman_) is a lifestyle writer and content creator behind the website, Slice Of Torch Ginger. 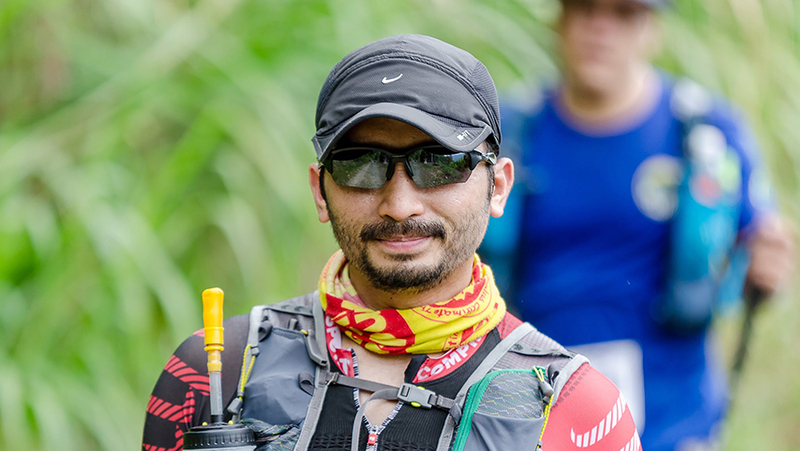 An avid ultra-runner, her longest run was the 7 Emirates Run in the UAE, covering 575km in 12 days to raise funds for the medical bills of a toddler born with deformed legs and the only woman to achieve this distance two years in a row.